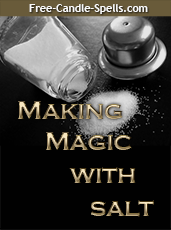 Get a FREE copy of my PDF booklet “Making Magic With Salt”. It’s easy. Just fill out the form and you’ll be given instant access to the download. In addition, you’ll get my free newsletter and receive all my special announcments.